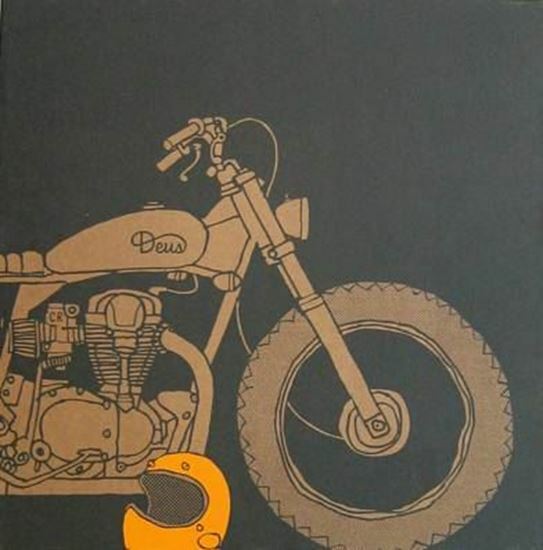 This is an expanded and updated second 2012 edition of the production of the Deus Ex Machina Company, Australia, whose philosophy recalls an era before the various pursuits of fun – motorcycling, surfing, skateboarding, whatever – were marketed into fundamentalist factions. All are welcomed under the Deus roof, where there’s simply respect for the honesty and enjoyment of the machine. Inclusiveness, authenticity, enthusiasm. It’s a simple and sincere pitch that has winged Deus ex Machina across the world. Deus ex Machina says simply there’s no ‘right way’ to do individualism, its all the same juice.